Frozen yogurt makers allow you to enjoy the sweet yogurt dessert from the comfort of your own home. With your own frozen yogurt maker, you can customize the flavor to what you like best. 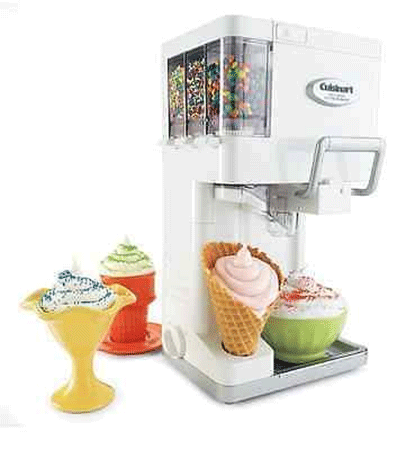 The Cuisinart Ice Cream Maker Frozen Yogurt Sorbet Soft Serve Automatic Freezer measures 10 ½ by 12 ½ by 20 inches and dispenses restaurant-quality soft serve right onto an ice cream cone or into a bowl. It features three compartments for the mix-ins you like, and will stir them into your frozen yogurt as it dispenses. This maker comes with a dual-insulated bowl which you freeze ahead of time, and then will produce 1 ½ quarts of frozen yogurt in twenty minutes. It also comes apart for easy cleaning. 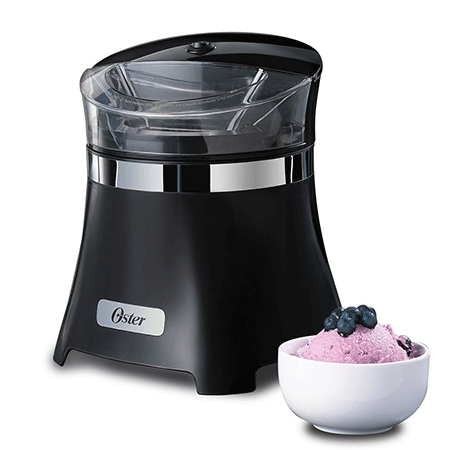 The Oster Ice Cream, Frozen Yogurt, and Sorbet Maker is 11 by 11 ½ by 14 ½ inches, weighs six pounds and can hold 1 ½ quarts of frozen yogurt. This maker relies on a freezer bowl that must be frozen prior to making the frozen yogurt. It features a wide ingredient feeder which allows you to easily add all the components and any mix-ins you like. When it is ready, simply open the lid to scoop your dessert out. Cleaning is easy as well, as the freezer bowl and paddle can be removed. 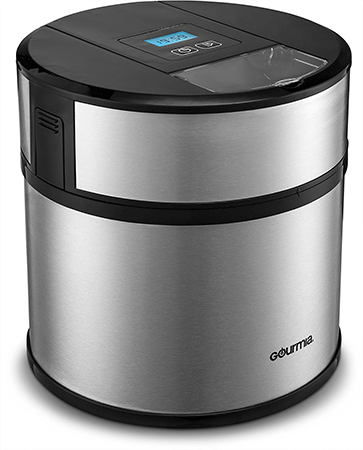 The Gourmia GSI179 Automatic Ice Cream Maker Frozen Yogurt and Sorbet Maker is 9 by 8 ¾ by 9 ¼ inches and weighs seven pounds. This maker will make up to 1 ½ quarts, or 3 pints, of professional-quality frozen yogurt. It delivers a nicely textured dessert you can scoop out in just twenty minutes. The bowl and paddle are removable for easy cleaning. 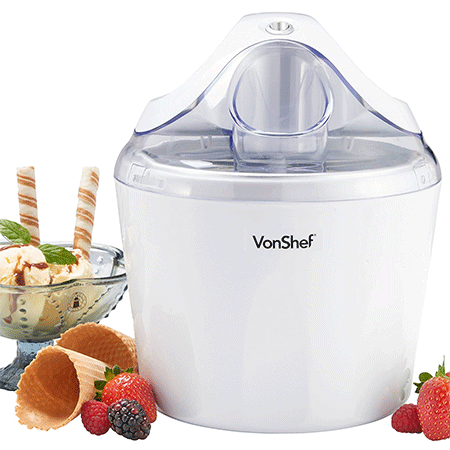 The VonShef Ice Cream, Frozen Yogurt, and Sorbet Maker Machine is 9 ½ by 9 ½ by 12 ½ inches and weighs 6.7 pounds. It comes with a double-insulated freezer bowl which stays cold while the paddle stirs, preventing ice crystals. This machine is quiet and will produce 1 ½ quarts of quality frozen yogurt. It also includes an ingredient funnel for adding mix-ins. The parts remove easily for cleaning. 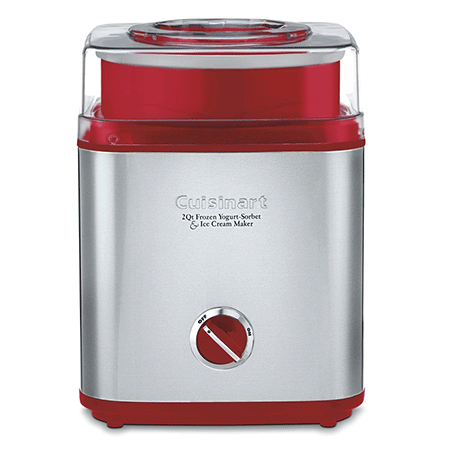 The Cuisinart ICE-30R Pure Indulgence Frozen Yogurt, Sorbet, and Ice Cream Maker is 11 by 10 ½ by 14 inches and weighs 2.3 pounds. This machine makes up to two quarts of restaurant-style frozen yogurt, which you can scoop from the bowl. The parts are easy to remove for cleaning. The Magic Bullet Dessert Bullet Blender is 9 by 13 ½ by 7 ½ inches and weighs about six pounds. 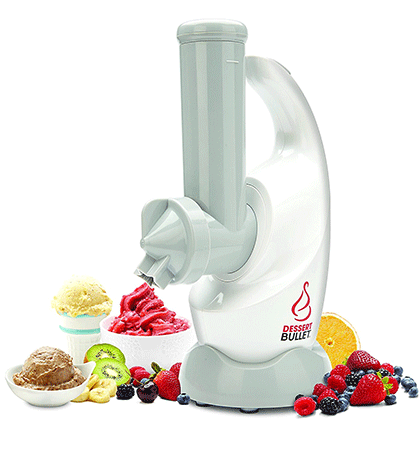 This machine uses a powerful blender motor to produce a dessert with a creamy texture. Feed frozen fruit or yogurt cubes into the chute and a blended, frozen dessert comes out. 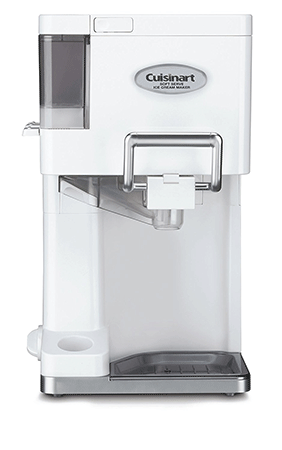 The Cuisinart ICE-45 Mix It In Soft Serve 1 ½ Quart Ice Cream Maker is 7 ¾ by 10 by 17 ¼ inches and weighs 15 pounds. This make produces professional quality soft-serve frozen yogurt which it also dispenses into your bowl or ice cream cone- just like at the store. It features three condiment compartments which allow you to add mix-ins as it is blending. It does require pre-freezing of the bowl, and it comes apart for cleaning. 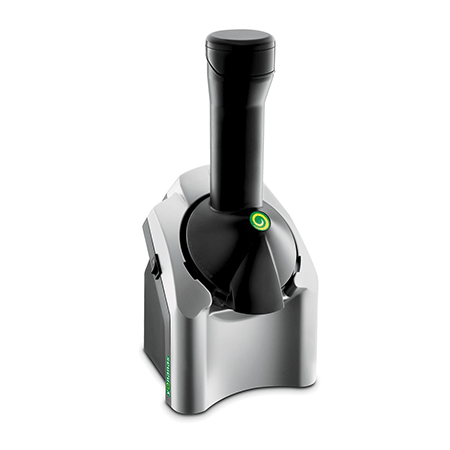 The Yonanas Frozen Healthy Dessert Maker is 6 by 7 ½ by 14 inches and 1.4 pounds. This dessert maker creates healthy, yet delicious, desserts from frozen fruit or yogurt cubes.